We're coming into the home stretch! 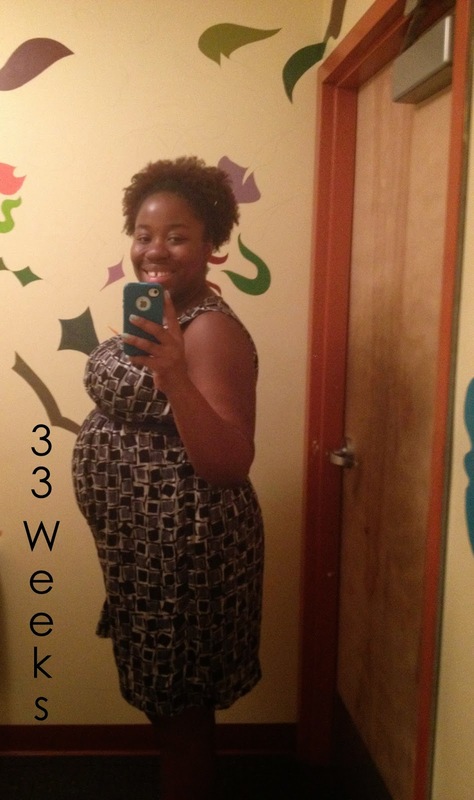 The due date is getting closer, I am getting bigger, and things are getting harder. 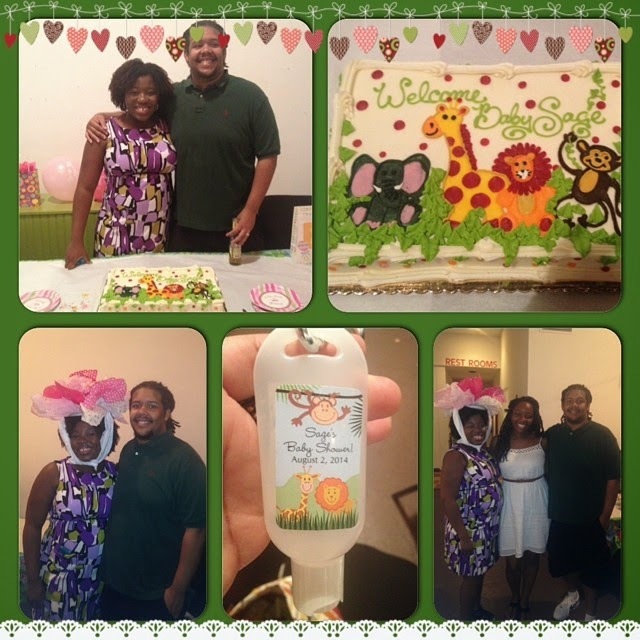 A highlight from the last couple weeks was my baby shower, which was really awesome. I have this now you see it, now you don't, belly going on depending on the angle I'm standing at. It's funny. Stretch marks: Thighs and tummy. Ailments: Outside of normal pregnancy stuff I also have a cold, which is a bummer. And I seemed to have developed some sort of prenatal carpal tunnel that has my right wrist in pain a few times throughout the day. Belly button: It is still holding out hope to stay an innie. Sleep: Sleep is hard. Between bathroom breaks, congestion from my cold, and just general uncomfortability with my wrist and belly, its just hard. Food cravings/aversions: Right now my cold is dictating things more than pregnancy. I'm eating bland stuff because I can't really taste or smell anything anyway, and anything acidic makes my throat burn. Sigh. What I miss: Being able to lay/sleep any way I want to and get actual rest. What I'm loving: Childbirth class. We've gone to 1 out of 3 of our classes which was cool. Most of it for me so far was reiteration of stuff I've already read, but repetition is good for learning. It's also nice to have dedicated baby focus time with Hubs. What I'm looking forward to: Continuing to get prepared for her arrival. What are YOU up to? Tell me about the most exciting thing you've done in the last 3 weeks. I love the jungle theme! Congrats to your family!